I felt so defeated as I skimmed through my to-do-list. How could I possibly do what I had planned to do with very little time? I quickly scribbled “Check emails” so I could cross it out and feel better about myself. I turned to the clutter at my desk and felt even more stumped. The mindless stream of news and tweets at my screen didn’t help, too. I knew very well that if I stayed at my desk I would waste another afternoon. I unplugged everything. From my Mac to my phone. No emails. No tweets. No instagrams. No foolish status updates. 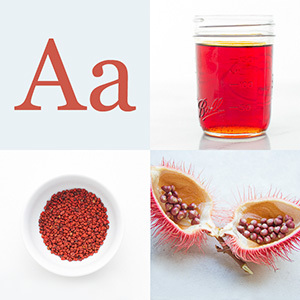 With a bowl of calamansi sorbet in my hand, I sank into my favorite chair — a comfortable, indigo reading chair with handsome mid-century lines — across the room from a large sun-soaked window. I stretched out my legs against the heavily scratched hardwood floor and took a long, deep breath. I sat quietly while I listened to Philip Glass . Ever haunting Philip Glass. A rapid cascade of notes from a solitary piano serenaded me. Sad. But beautifully sad. I carved a spoonful of the sorbet from the white bowl and admired the flecks of green zest strewn throughout. I took a deep whiff and reveled in the fragrant scent of calamansi. A scent like no other. A scent of summers past. Heat swimming around me. Sweat on my forehead. On my temples brushed off with the back of my hand. A cello joined the lonely piano and it cried mellifluously. I sat quietly in my chair as I happily took everything in. The strings and the piano. The calamansi sorbet. The joy of quiet. In place of an ice cream maker, use freezer bags to make your ice cream or sorbet. Harold Mcgee shares an easy way to make ice cream using freezer bags in this Chow video. Make a brine with 3 quarts water and 1 pound salt, divide it between two 1-gallon freezer bags, and store bags flat in freezer. To make ice cream or sorbet, sandwich the bag of mix between brine bags, enclosing stack in towels. Wonderful post! I love calamansi and the scent of a newly-opened slice never fails to bring me back “home”! QUESTION: Can I use the frozen calamansi concentrate I get from the Filipino grocery? We don’t have fresh calamansi trees here in the east coast. And Chinatown sells them at exorbitant prices, if there are any at all. Thanks for sharing this recipe, Jun! Thank you, Betty Ann. Yes, you can dilute the calamansi concentrate available in most Asian stores with water and use it instead of the freshly squeezed juice. The thing I don’t like about those concentrates is that they are too sweet. What amazing writing Jun! I love it! We used to have a couple of calamansi trees in my grandfather’s farm. I get pricked by the thorns but I love picking the fruit off the trees. A pretty easy recipe! I think I’ll go make one later today. The sorbet looks great! Perfectly refreshing! Next to a glass of calamansi juice, THIS is my favorite way to have calamansi- the icy quality seems to bring out the special tartness. Thanks for a lovely post as always..I find joy in quiet as well. This would make a lovely palate cleanser after a particularly rich meal. 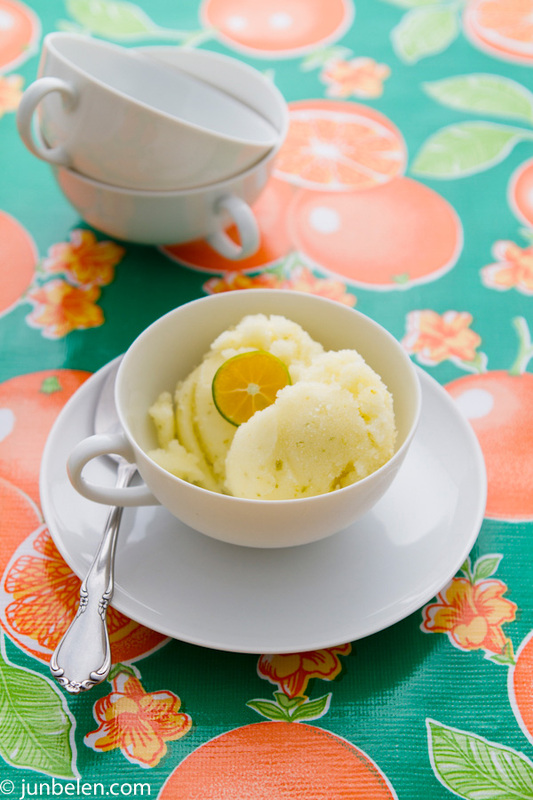 I’ve been looking for a quick and simple recipe for calamansi sorbet, and yours is perfect. Your presentation is superb as well. Thank you for coming up with this recipe! Thanks, Jun. Will try your suggestion! Beautiful Calamansi Sorbet! I just love it, once in week i make it because im like addicted :)Cheers folks! Jun, lovely, simply lovely. A gentle reminder to slow down, and enjoy the small things around us, or even the ones we love. Thank you for that reminder. On a side note – where did you find the calamansi? I found some earlier this year, and we were enjoying them with cocktails. I’d love to find more so I could try your recipe as well as tossing a few into those cocktails. I wonder if this would taste good with kefir. I usually make lemon kefir ice cream. I will have to give it a try. 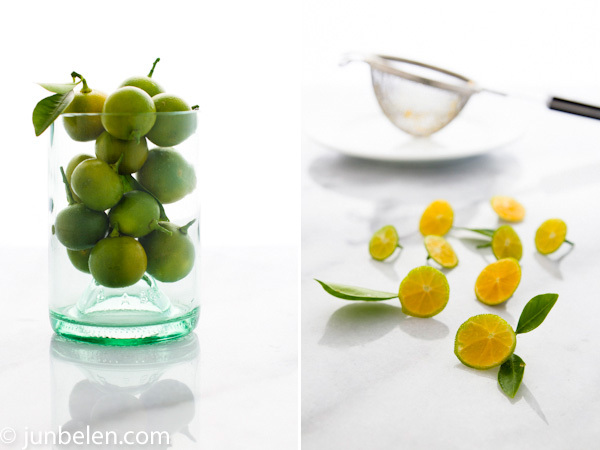 The aromatic zest from a kaffir lime would be a wonderful addition to the sorbet! Denise, we have a calamansi tree that we bought from a vendor at the Alemany Farmer’s Market. She has a farm in SoCal where she grows them. We’ve had the tree for a couple of years now and it is fruiting so well. Calamansi limes are hard to come by in the Bay Area. Let me know if you’re interested in growing your own tree. We found a nursery in American Canyon that sells dwarf trees. Oh, I would love to grow our own tree. Our meyer lemon, olive and plum tree are doing so much better then when we were in the city. I am sure it will do great on our sunny little patio. Let me know the name of the nursery. were i can buy it? Calamansi zest is the peel or skin of calamansi that’s grated finely.